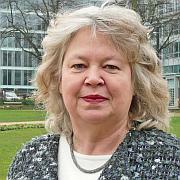 Jean Lambert was first elected to the European Parliament in 1999 as the Green Member for London, representing the views of those who want an environmentally sustainable fairer society. She was re-elected for a fourth term in the May 2014 European Elections. Jean currently is a full member of the committee on Employment and Social Affairs where she focuses on social inclusion, workers' rights, immigration, social security and the European semester process. She is also a substitute member of the committee on Civil Liberties where she works on issues related to asylum, immigration, children's rights and anti-discrimination. Jean campaigned for the UK to Remain a member of the European Union and is now working to ensure that the UK exit from the EU does not harm the future of London, the UK or the EU.